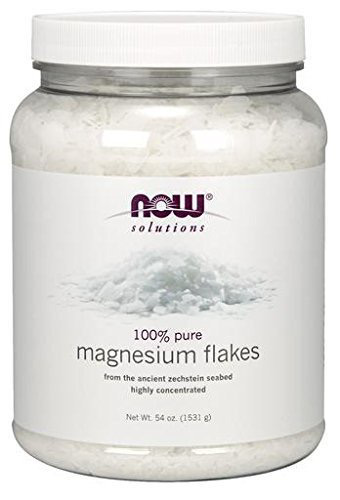 NOW Solutions 100% Pure Magnesium Chloride Flakes are an ideal natural bath additive for softening skin. Derived from the ancient Zechstein seabed in the Netherlands, one of the world's purest remaining subterranean mineral sources, our pure magnesium flakes have traditionally been used to improve skin hydration, and make a soothing addition to bath water and foot baths. One cup of flakes contains approximately 19 grams of elemental magnesium.